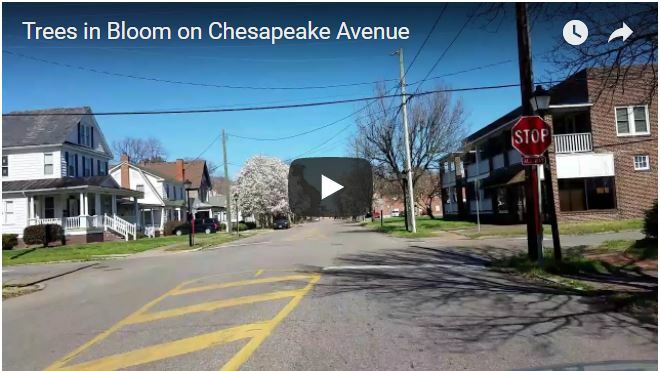 FEB. 27, 2018 – First, let us treat you to a ride down Chesapeake Avenue, with the trees in bloom. 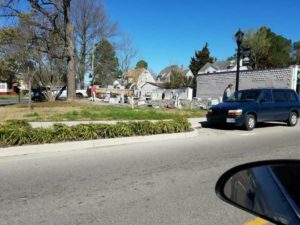 As we predicted, activity is picking up in South Norfolk as we get closer to the start of spring. 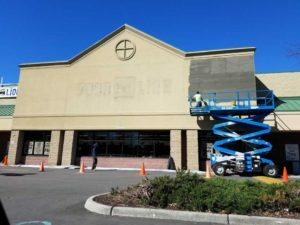 Food Lion on Bainbridge is getting facelift! Neighbors are lamenting the shopping conditions at Food Lion, 2544 Bainbridge Blvd. as they give their store a facelift. Most agree it’s going to be beautiful. Taken at Rodgers and Poindexter, this building across the street will be a house. Click image to enlarge view. 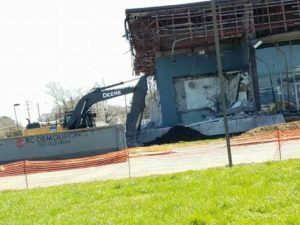 The old bank building is coming down! The old Bank of America is being torn down, but it looks like it’s standing tough. Click to Enlarge. Read about Norfolk Southern Railroad.